The summer equinox happens on the 20th of June at precisely 10:34 pm (in Florence) and officially signals the beginning of shorter days…though most of us prefer to look at it as the beginning of summer and all that it entails: evenings out under the stars, days lazing poolside or splashing at the beach and lots of summer filled activities. Many view this auspicious event with scientific curiosity looking towards the planetariums and observatories to guide our visual to the stars, the planets and astrological wonders. But if one can remember that Florence was the home to some very important stargazers (Galileo) then it shouldn’t be a wonder that both the Duomo and San Miniato al Monte have their own special way of celebrating the solstice. The calendar and counting of the days was of extreme importance to the church because this is how they calculated Easter and the entire church calendar revolves around knowing when Easter falls. 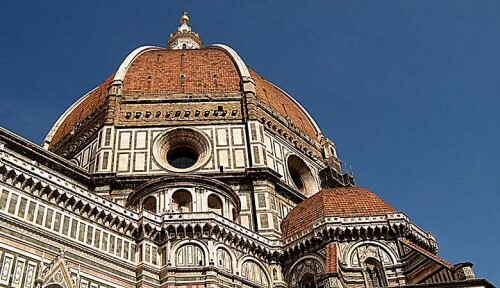 Santa Maria del Fiore, with its dome reaching over 90 meters above the altar, is one of the highest points for a gnomone…and I am not referring to fairies and elves here. This word comes from Greek and means “indicator” or in this case the indicator on the meridian when the sun has reached its highest point in the sky, during the year. 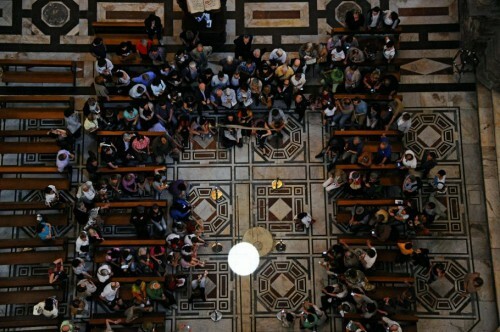 On the 17th (in English), the 20th and 21st of June, the Opera di Santa Maria del Fiori together with the Comitato per la divulgazione dell’Astronomia present a talk about the Meridiana in the north transept of the cathedral and its role during the Summer Solstice. 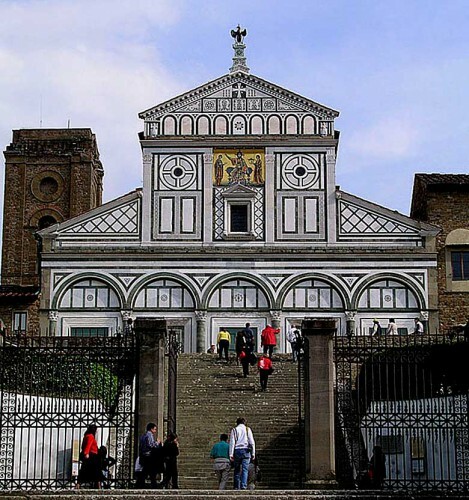 Another event not to miss, is organized by San Miniato and the Museum of Galileo, On June 21 and 22 at 1:53pm a sunbeam will hit the sign of Cancer in the Basilica of San Miniato al Monte, so announcing the Summer Solstice. 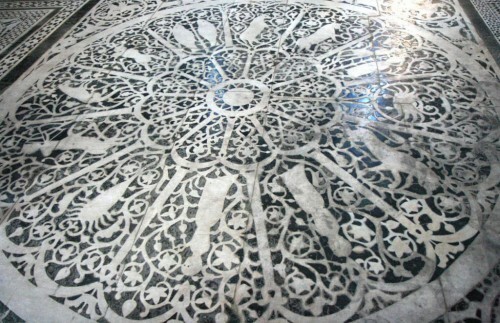 The speaker Simone Bartolini, author of the book: Sole e Simboli (also available in English: Sun and Symbols) will guide you as you watch the marble zodiac of San Miniato and a ray of light illuminate the sign of the Cancer for the summer solistice. This is one of the oldest monumental solstice zodiacs in Europe and it is still functional! A McDonald’s Right Next to the Duomo?